Tom Hardy is a British actor who has also become one of Hollywood’s biggest stars over the last decade, largely thanks to his roles in blockbuster films such as The Dark Knight Rises and Mad Max: Fury Road. Who is Tom Hardy, how old is he, when is his birthday, how tall is he and what is his background? Born in Hammersmith, London on September 15, 1977, Tom Hardy is a 40-year-old actor who stands at 1.75 metres tall. His mother, Anne, is an artist and painter, while his father, Edward ‘Chips’ Hardy is a novelist, comedy writer, and screenwriter. Both Tom and his father have, in fact, collaborated on BBC One drama series, Taboo. Why is Tom Hardy famous and what is his occupation? Tom Hardy is an actor, famous for various film roles ranging from Hollywood blockbusters to independent British films to acclaimed television series. What is Tom Hardy’s net worth? Tom Hardy’s reported net worth is estimated to be at around £21.5 million. How much does Tom Hardy earn? Like many actors, Tom Hardy’s annual income tends to fluctuate depending on how many films and TV shows he is working on. Reports suggest Hardy made up to £3 million on The Dark Knight Rises, but it was also revealed that he lost a staggering £2 million in the production of Taboo, which he co-wrote and produced, and set up a new production firm to handle the finances for. Is Tom Hardy married, who is he married to, who has he dated in the past? Tom Hardy first married in 1999 to producer Sarah Ward, but the couple divorced in 2004. Hardy then spent four years with girlfriend Rachel Speed, whom he met while filming The Virgin Queen in 2005. Shortly after their break-up in 2009, Hardy began dating Charlotte Riley, whom he also met on set, starring opposite her as Heathcliff in ITV’s adaptation of Wuthering Heights. The couple married in July 2014 and are currently still together. Does Tom Hardy have any children, what are their names, who did he have children with? Tom Hardy has two children. His ex-girlfriend, Rachel Speed, gave birth to his first son, Louis, in 2008. His second child, a son, was born in October 2015 to current wife Charlotte Riley. Is Tom Hardy in Suicide Squad? He was poised to appear in Suicide Squad, but had to pull out after filming for The Revenant overran. What movies has he been in, how did he become an actor? Some of Tom Hardy’s most notable movie roles include portraying Britain’s most notorious jailbird Charles Bronson in Bronson, starring as Bane in The Dark Knight Rises, and playing both Kray twins in the 2015 film, Legend. His acting career began soon after joining the Drama Centre London acting school in King’s Cross, from which he had to pull out after landing the part of US army private John Janovec in Band of Brothers. What TV shows has Tom Hardy been in? Band of Brothers was Hardy’s first television role in 2001, though he has also appeared in several other TV shows, including Wuthering Heights, The Take, and, more recently, Peaky Blinders. What awards has Tom Hardy won? Tom Hardy’s first major film award came at the British Independent Film Awards, where he was awarded Best Actor for his starring role in Bronson. 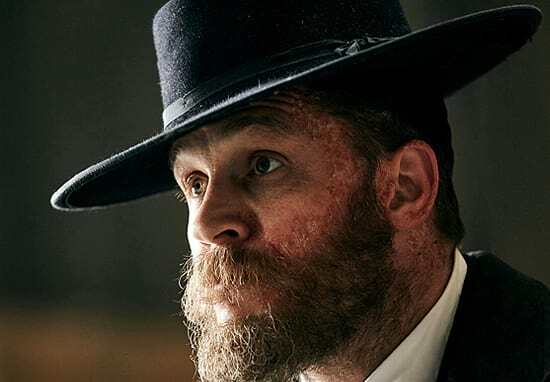 Hardy went on to win Best Actor at the Los Angeles Film Critics’ Association Award for Locke, as well as another British Independent Film Award, again for Best Actor, for his dual roles as both Kray twins in Legend in 2015. Up next was a Critics’ Choice Movie Award for Best Actor in an Action Movie in 2016 as Max Rockatansky in Mad Max: Fury Road. 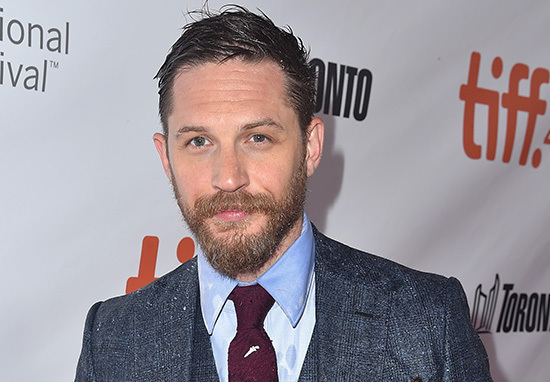 Hardy then topped off a successful 2016 with a brace of awards at the London Film Critics’ Circle Award ceremony, taking home both British Actor of the Year and Actor of the Year. Did Tom Hardy voice Bane, how did he train for his role as Bane? The voice of Bane in The Dark Knight Rises is one of the most distinctive in modern cinema. Hardy claims the voice was based on bare-knuckle boxing champion, Bartley Gorman, as well as Elizabeth Taylor’s late husband, Richard Burton. Bane’s voice was re-dubbed between the IMAX Prologue preview and the film’s final release in order to make Hardy’s lines easier to understand. 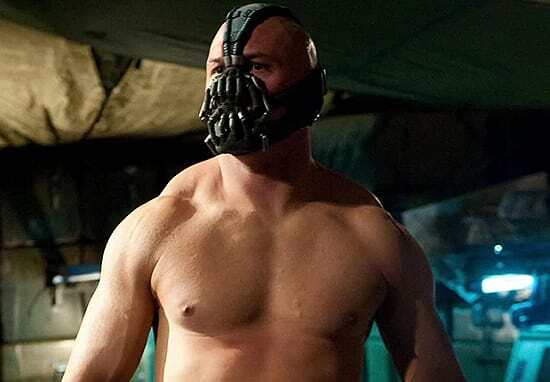 Another key aspect of Hardy’s transformation for the role was physical, and the actor underwent a strict diet and exercise protocol in order to put on the lean muscle mass necessary to portray the supervillain.